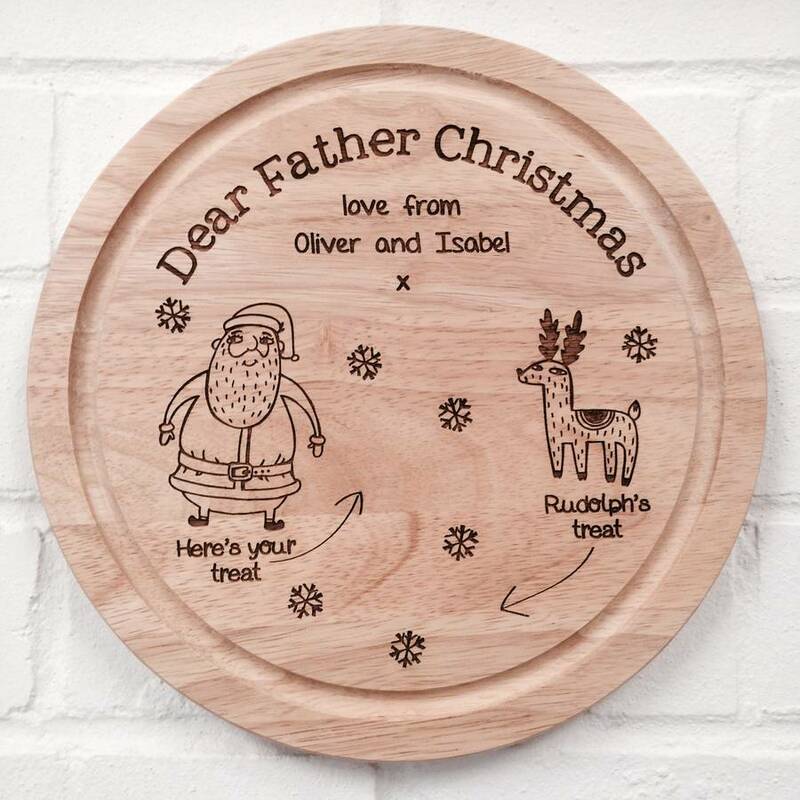 The perfect personalised plate for 'the' jolly man's treats! By Auntie Mims. 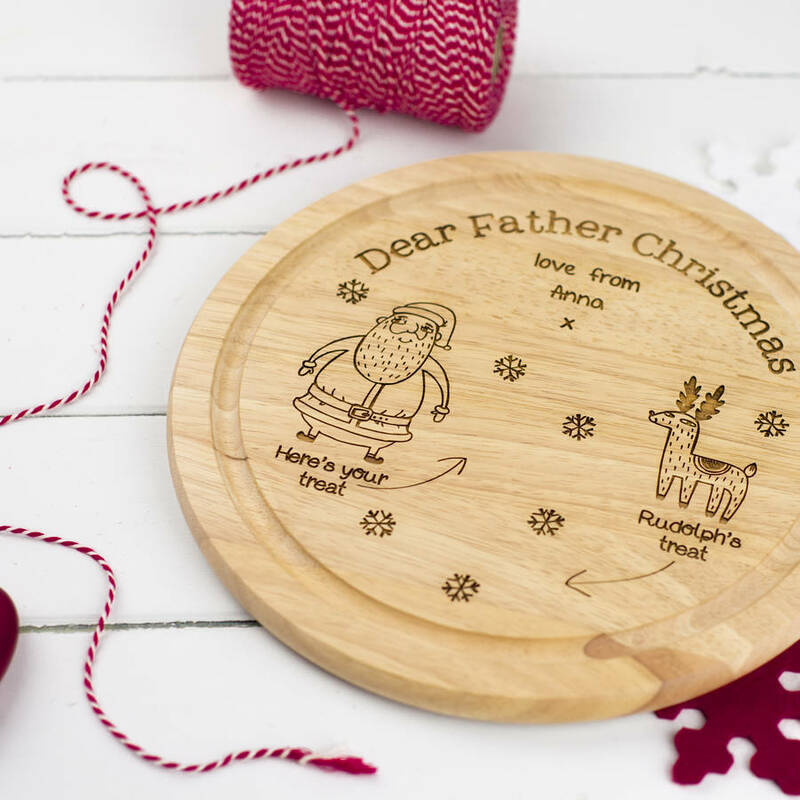 These cheeky plates are the perfect serving platter for Father Christmas and Rudolph's Christmas eve treats. 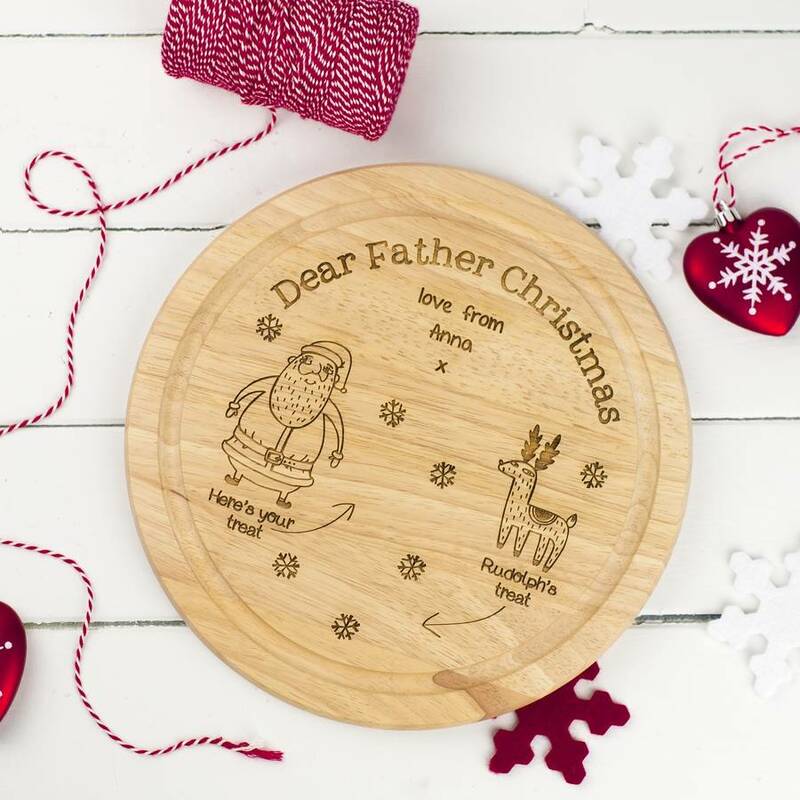 Made from wood, engraved with a happy Father Christmas and peckish Rudolph, and the names of your mince pie giving little ones, these personalised plates are sure to add some extra excitement just before bedtime on Christmas Eve. 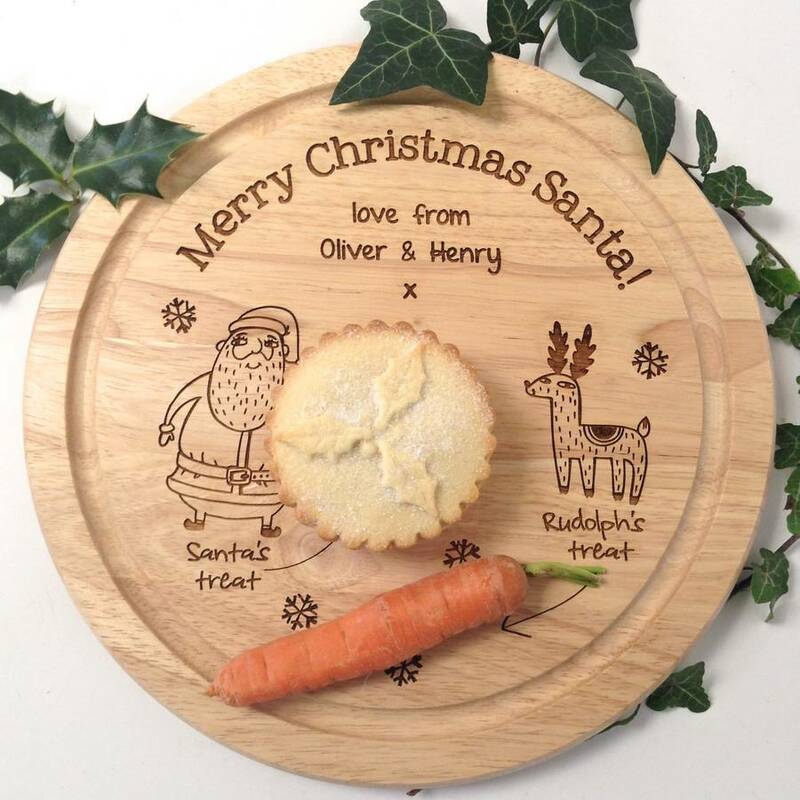 Will the big guy eat his mince pie? Or drink up his sherry? 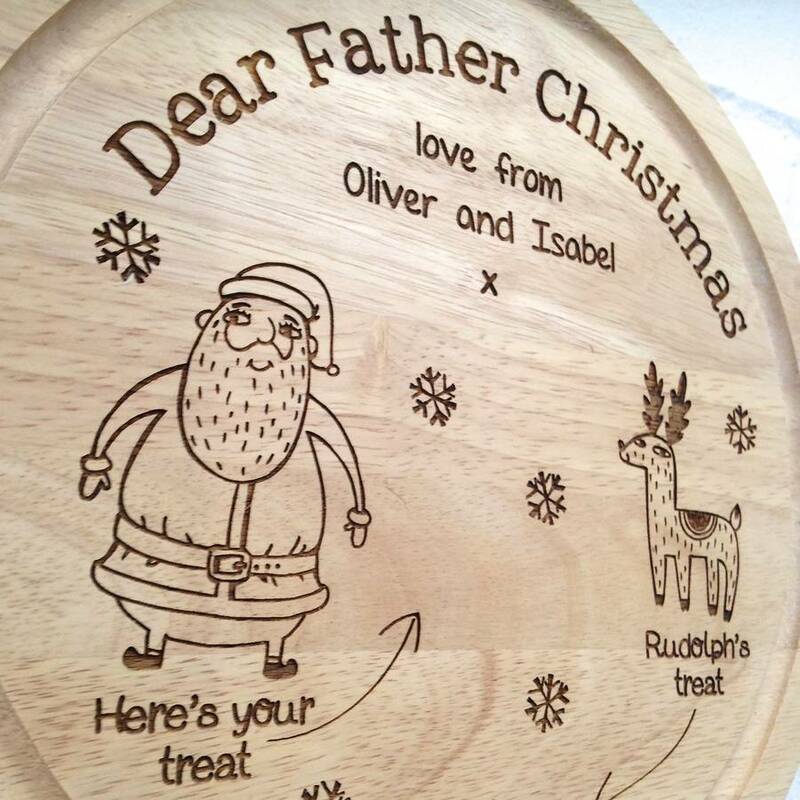 And will Rudolph devour his juicy carrot? 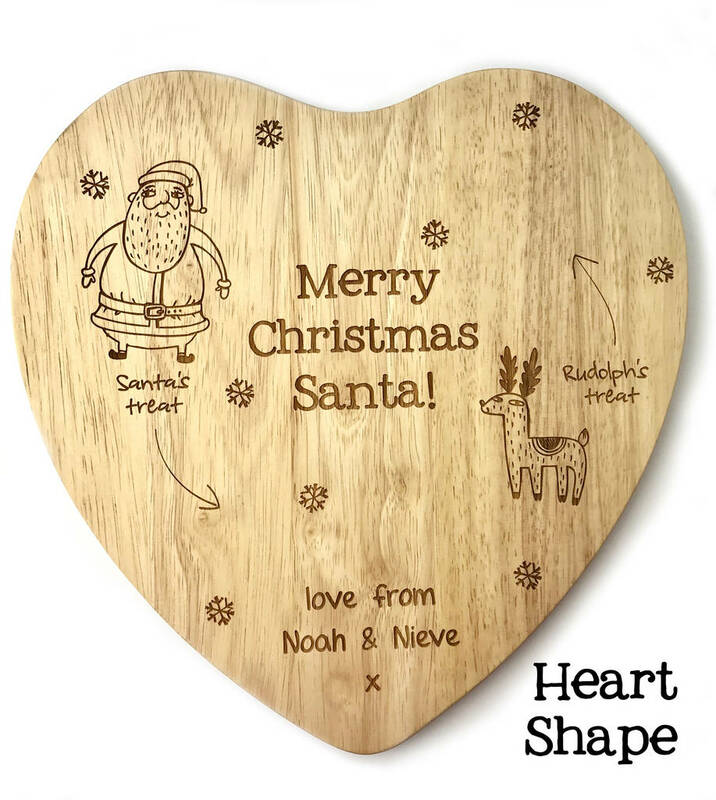 All will be revealed on Christmas morning when Santa's platter is closely inspected for the remaining crumbs and debris left over after the big fella enjoyed his well earned snack! 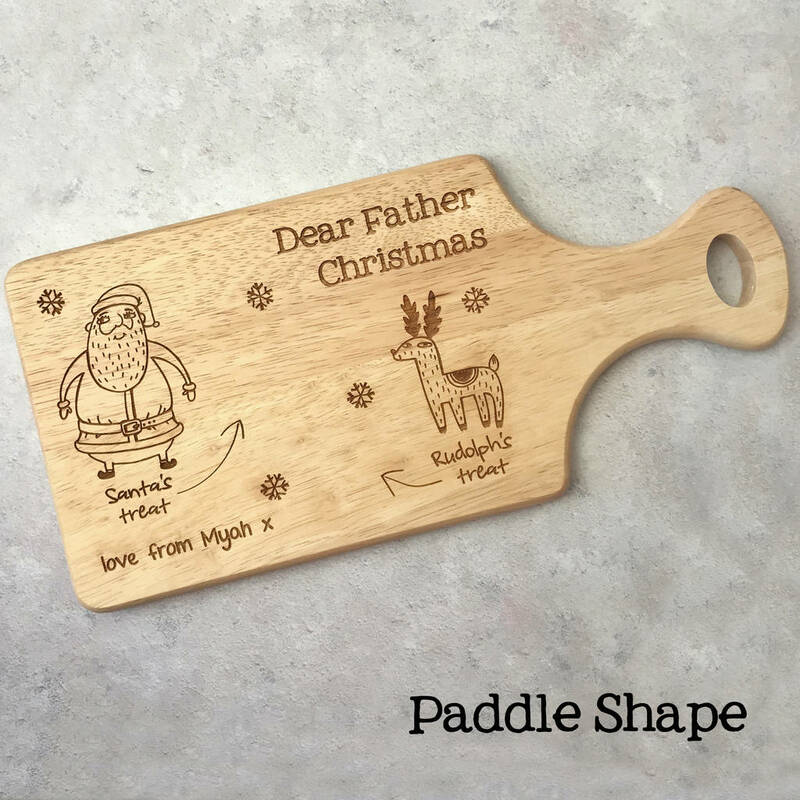 Can be personalised with names or message.